Americans are obsessed with all things Extra Large, from pizza to popcorn and from sodas to café mochas (with extra whip cream, of course). This, in turn, leads to another American obsession: Weight Loss. While some turn to the time-tested method of diet and exercise, others look for a shortcut that makes the process easier and faster. Sadly, many of these quick fixes involve dangerous diet pills. 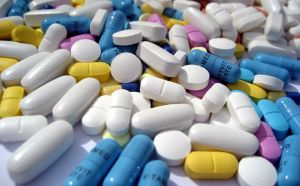 If you took a product looking for a weight loss solution (pill or powder, “cure” or supplement, or even just a little help in the process, and it made you ill (or if a diet pill claimed a loved one’s life), our San Francisco and Sacramento diet drug danger attorney. As discussed in a recent San Francisco Chronicle piece, there is an increasing tendency to treat obesity as a medical disorder that should be treated as such. The drugs are almost always intended to be used in conjunction with diet and exercise and the majority of doctors still prefer those approaches. Two new drugs are gaining attention, notably following on the heels of “a rash of prescription weight-loss lemons” that have led the Food and Drug Administration to view the treatments with a cautionary eye. Both of these new drugs, Belviq and Qsymia, were approved last year after having been initially rejected and with the requirement that longer-term trials be performed to check on stroke and heart-related risks. One doctor said he’s wait to see results over 3 to 5 years, stating: “At this point, any benefits are outweighed by unknown risks.” However, others believe even a small weight loss can lead to major benefits and see the drugs as necessary treatments. 5)	The K-E Diet (uses a nasal feeding tube to deliver only 800 calories a day, carrying risks of inflammation and infection and can cause stress on kidneys and the liver plus other risks of a starvation-level diet). All of these remedies target individuals classified as obese, not just those looking to shed a few pounds. Without question, obesity carries a number of severe heath risks and can lead to premature death. Weight loss can be a difficult journey and too many companies have taken advantage of people looking to shed pounds. Often, these companies place profit over safety. This cannot be allowed to continue. People who have been harmed by products marketed as weight loss remedies may have civil claims against the manufacturers and distributors of these dangerous items, including claims under product liability law. Bringing such claims allows the victim to recover needed compensation. These cases also serve the public as a whole, warning manufacturers that they cannot take advantage of consumers and cannot sell dangerous products without paying a price. If you have been made ill by products touted as weight loss remedies, or lost a loved one because of these unscrupulous schemes, please call to arrange a free consultation with our San Francisco dangerous diet pills law firm. We are based in Northern California but represent clients throughout the state on an individual and class action basis.